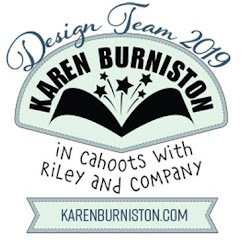 Welcome to our November Karen Burniston Designer Challenge. 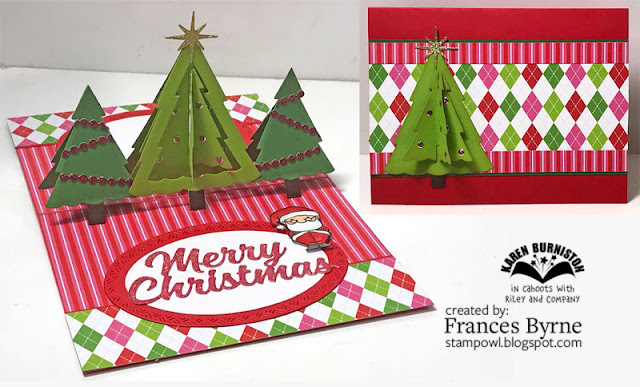 Our challenge theme this month is .... "CHRISTMAS TREE" - make a card that incorporates a Christmas tree. For my card today I have used the Christmas Trees Pop Stand die set. 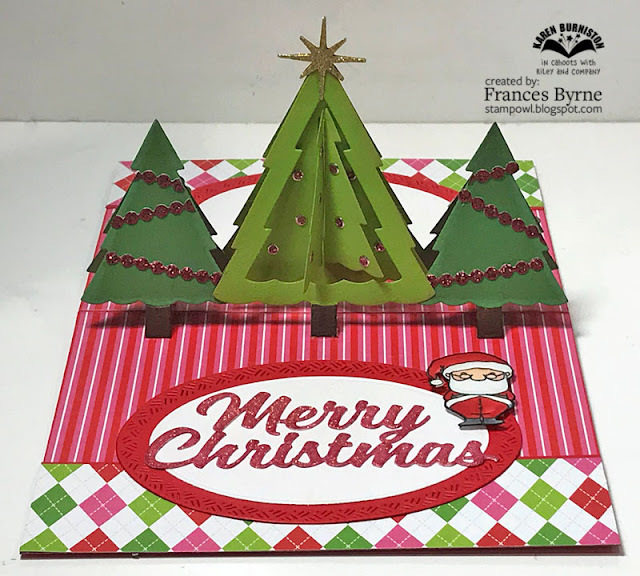 I used the tree dies included in the die set to create the centre tree and then used the pieces that come out of the large tree that has the hole in the middle to create the trees on either side of the card. To decorate the trees I used pink glitter dots of the centre tree and die cut the garland from red glitter for the other two trees. 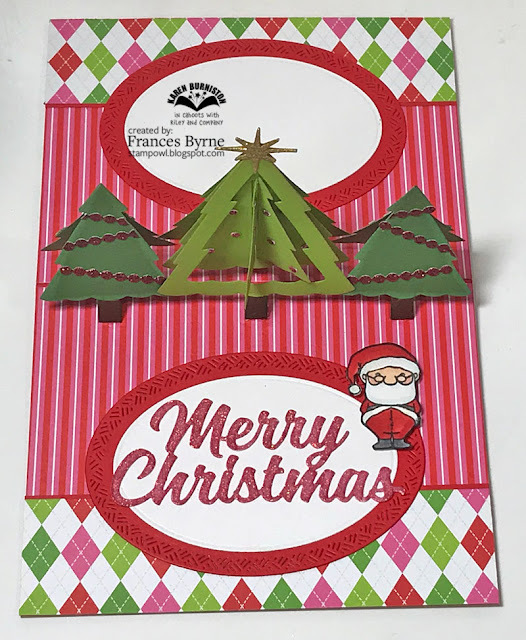 I used the Merry Christmas sentiment to die cut the Merry Christmas from white cardstock that had Clear Double Sided Adhesive Tape on the front. I then covered this with Warm Diamond Silk Microfine Glitter and colored the sentiment using a pink copic marker. 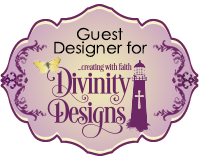 The sentiment is layered using the Ovals Crosshatch die set. To finish off the card I added a Santa from a Mama Elephant stamp set. 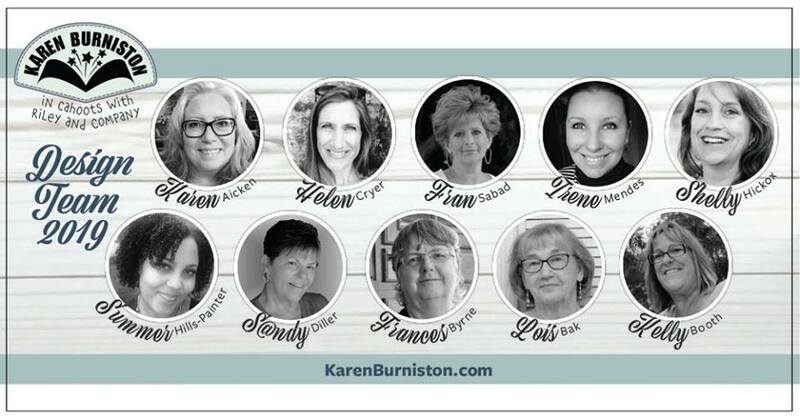 Here is an overhead view of my card so you can see the whole inside of the card. I added a sentiment set of ovals on the other side of the card to use to hand write a personal message. 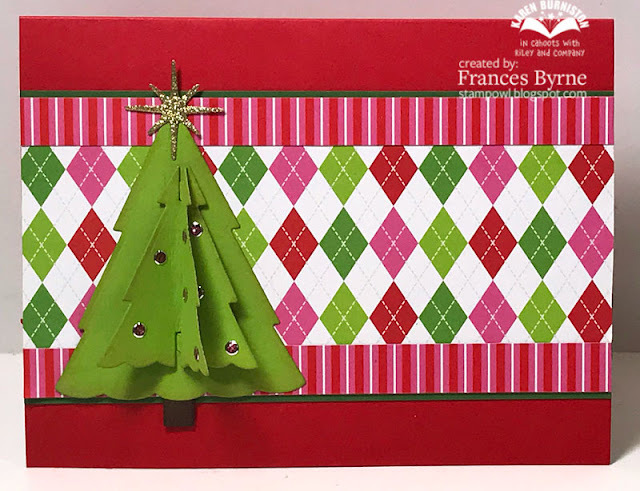 For the front of the card I added another of the trees that I used on the inside of the card. 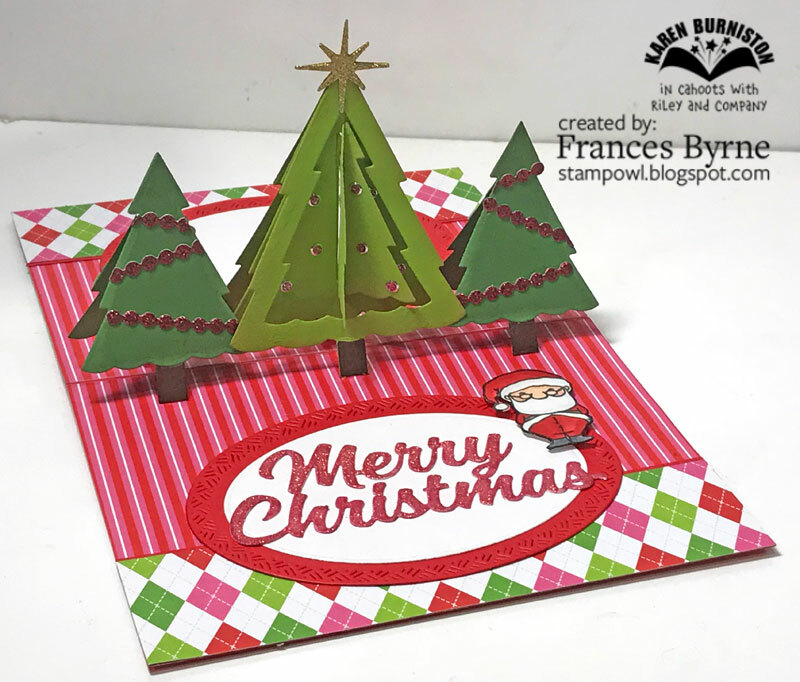 Such a great card for the DC - loe those trees!